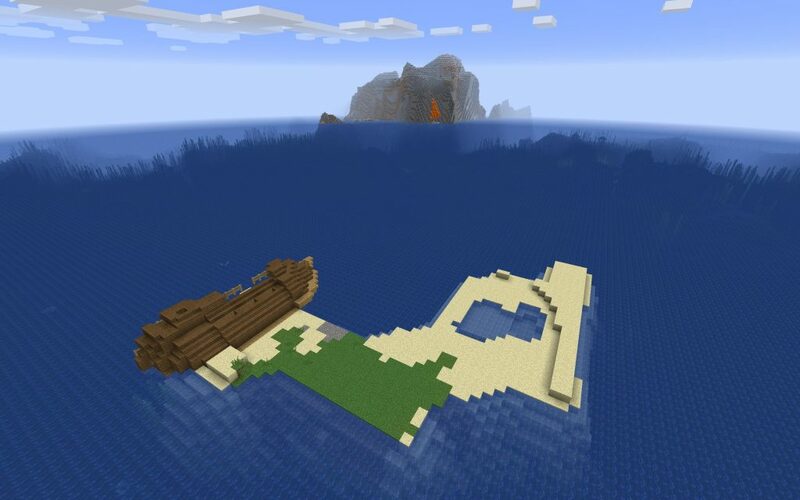 Here’s a new twist on a Minecraft Survival Island seed: a shipwreck. 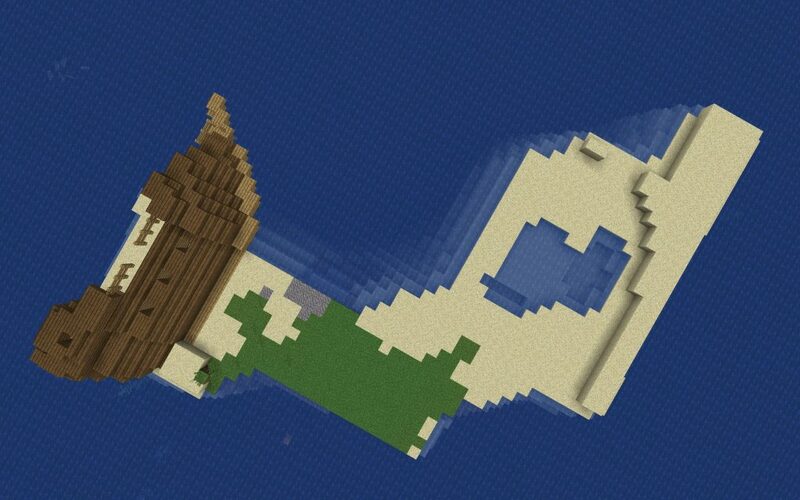 That makes this one a marooned survival island seed. Enter ‘evilfrogs’ as the seed to give it a shot. The island doesn’t have any trees on it, nor are there any on the horizon. 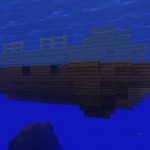 The shipwreck does have chests with resources to keep you alive. And, if it’s wood you’re looking for, you’ve got some of that in the ship’s hull, too. 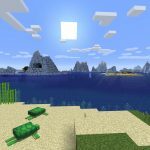 For Java Edition Update Aquatic (1.13) and higher. There is some land in the distance but there’s no sign of trees. In another direction a stone beach is visible (also without trees). 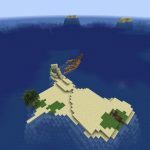 The survival island seed from above. 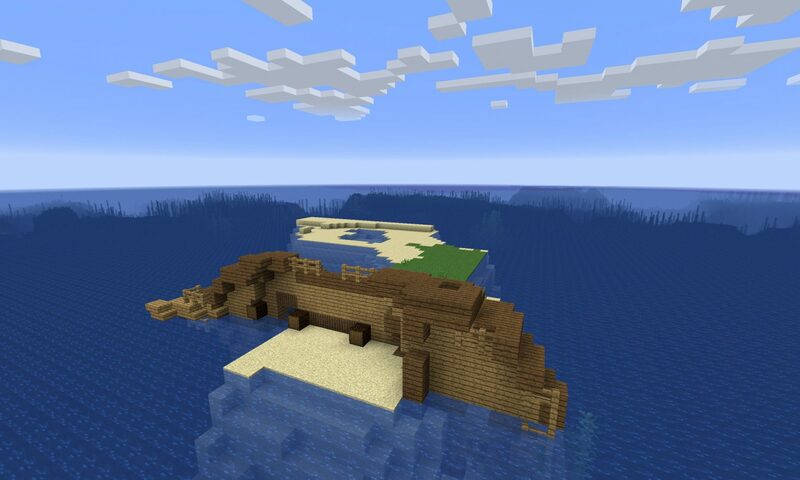 I used the seed and there is also an Ocean Monument right next to it! 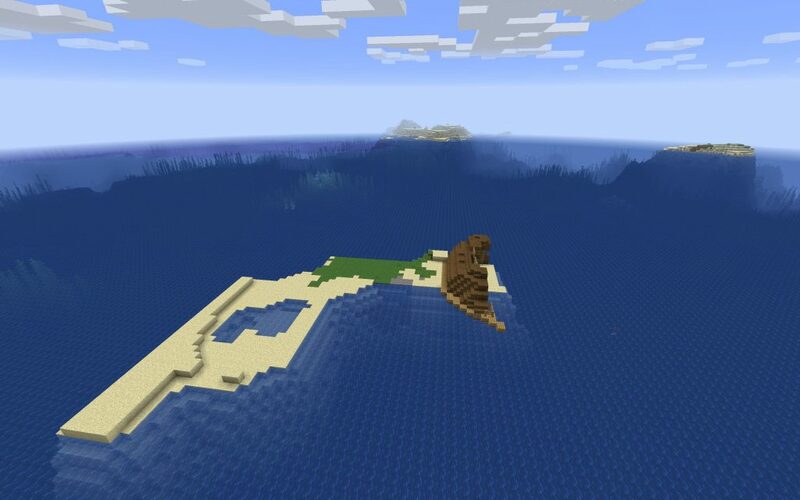 seed does not work as stated in 1.13.1, it spawns you in middle of planes biome for me.